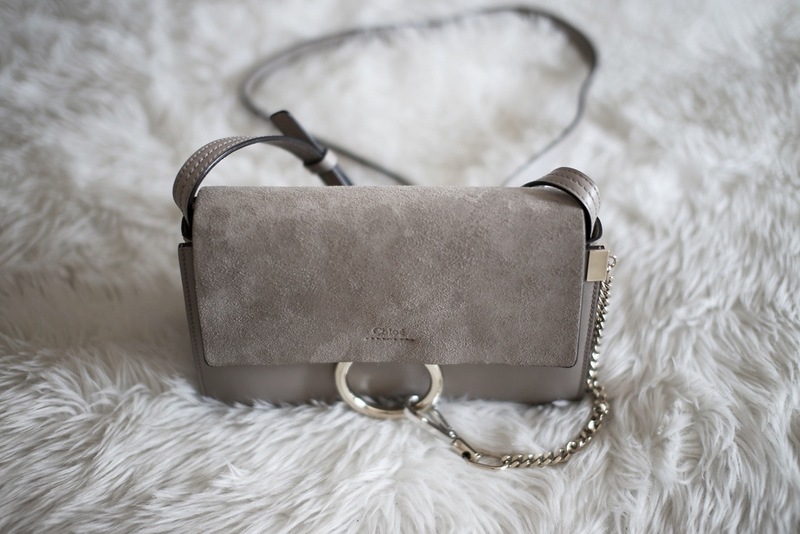 Apparently Chloé bags steal my heart each summer, as a second one makes its way into my handbag collection almost exactly one year after my first Chloé bag. 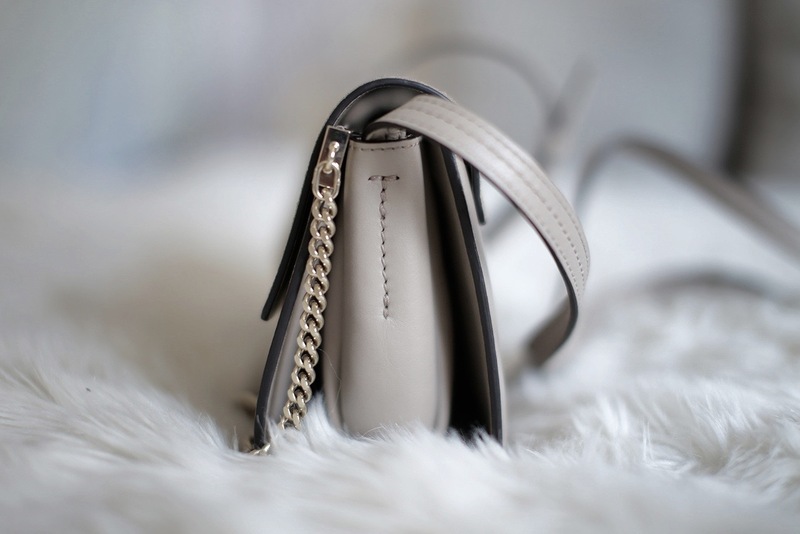 The "Faye" bags, both medium and small sizes, are the perfect combination of classic femininity and modern design. 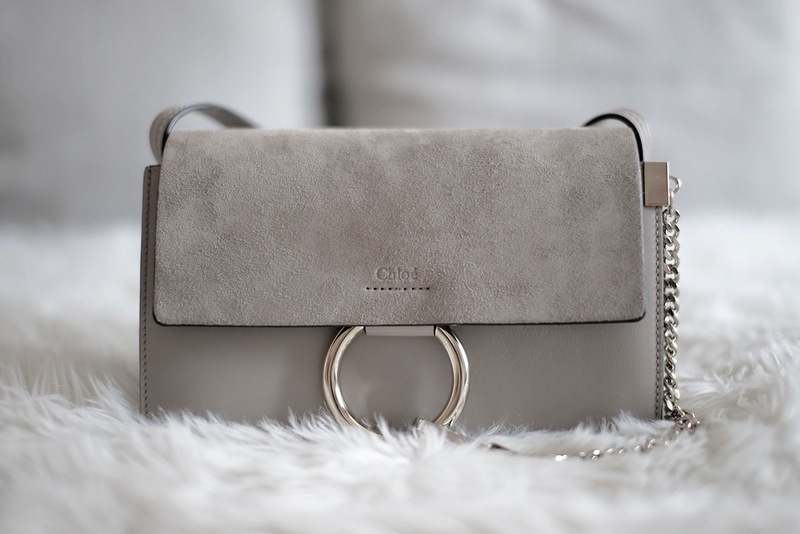 From the textures and quality of the leathers, paired against the simple hardware details, I just couldn't resist the refined look of this bag. After swearing off black bags for a while, this Motty Grey colour immediately caught my eye and I couldn't help myself. 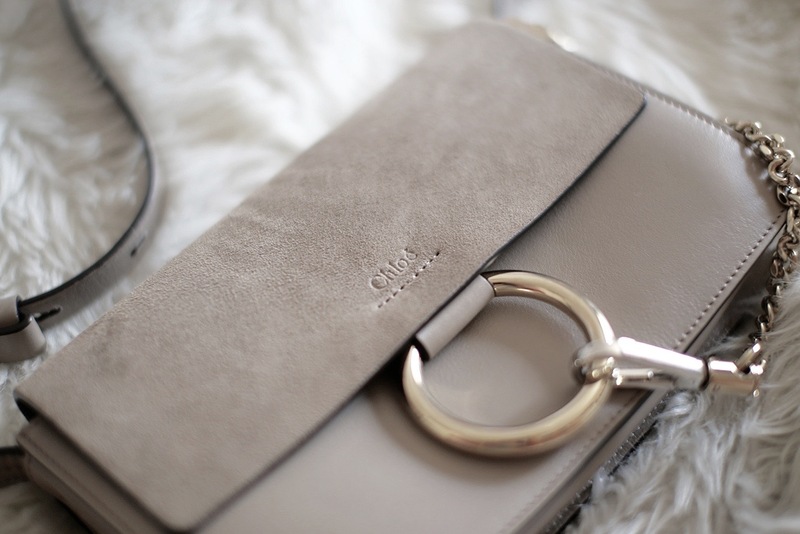 The Chloé logo is stamped on the suede flap, sitting right above the O-ring that fastens the bag shut. The sides are gusseted and a curb chain attaches to the ring with a dog clip. I love the combination of polished gold and silver against this grey colour. 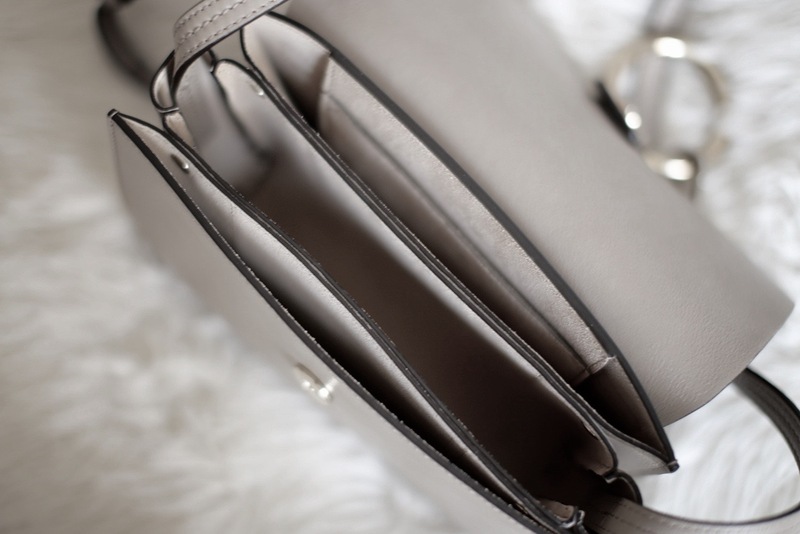 The flat strap allows for the bag to be worn comfortably on one shoulder or across the body. It may not be the roomiest of bags but it will definitely carry all the basic necessities. The dimensions are 5.50"H x 9.25" W x 3.00" D with a 23" drop. This is the perfect summer bag, carrying my phone, card holder, keys, and miscellaneous make up as I make my way through the city streets of Manhattan. It's just nice taking a break from my larger pieces, including the Saint Laurent Sac de Jour, Givenchy Antigona, or Louis Vuitton Neverfull. Some days just call for a cross body, something simple yet functional. 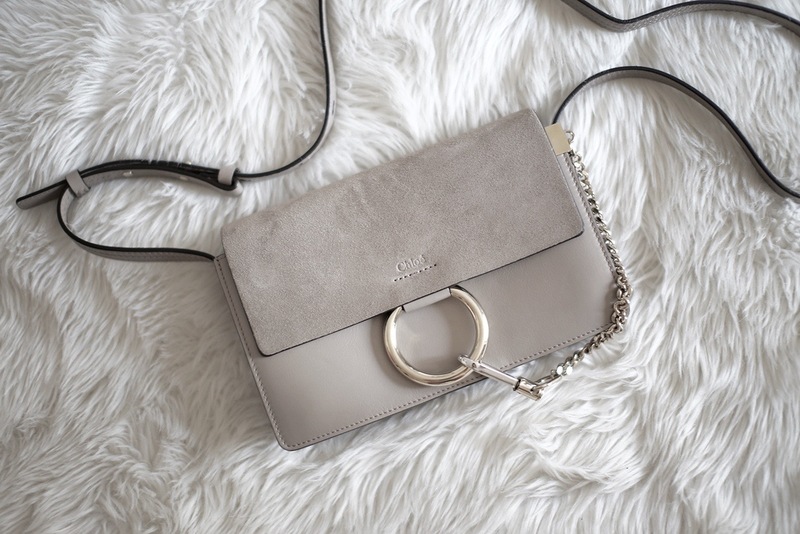 The Chloé "Faye" is exactly that. Hey Alyssa! Been following your blog for a while now and love all your posts! I'm curious what camera you use because all your photos come out perfect. Dreams, Dreams, & More Dreams.